Iran’s new defense minister has said that the country will continue to support the “resistance front” by providing “advisory” assistance. In an interview with the Islamic Republic of Iran Broadcasting (I.R.I.B. ), Brigadier General Amir Hatami also stressed the need for employing “defense diplomacy” to ensure Iran’s national security interests in the region. He claimed that Iran’s enemies are worried that the Islamic Republic has become a “role model for resistance” and supports resistance groups in the region. Hatami said Iran’s support for the “resistance front” has been limited to “advisory role” in the past and it will continue to be so. But he emphasized that the Islamic Republic has the capacity to provide further assistance if needed. 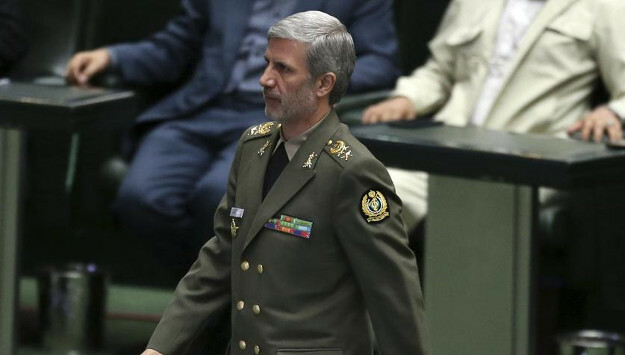 Earlier this month, Hatami told the Iranian Parliament that he will support the country’s elite Quds Force Commander Qassem Soleimani to counter U.S. policies and actions that undermine Iran’s regional interests. “You passed a legislation to counter U.S. sanctions,” he said on August 17 while outlining his plans for the ministry. “No doubt, support for the resistance front, which is the Quds Force and my brother Major General Soleimani, will continue in this regard. Hatami also emphasized that he will further develop Iran’s missile program, particularly ballistic and cruise missile capabilities, despite international pressure if he is approved for the post. Air defense capabilities and the Iranian ground forces’ deterrence power will also top the Defense Ministry’s agenda, he stressed. Comment: It is the first time since 1993 that the government in Tehran has not picked an individual affiliated with the Islamic Revolution Guards Corps (I.R.G.C.) to lead the Defense Ministry. Hatami has served in several senior positions with Iran’s Defense Ministry and Artesh [Iran’s regular army]. But his remarks indicate that Iran’s policies regarding the country’s support for militant groups in the region or its controversial missile program will remain unchanged under his watch. In the Islamic Republic, the Ministry of Defense has limited role in devising and implementing Iran’s regional policies, particularly in conflict zones such as Iraq, Syria, Yemen and Afghanistan. Thus, even if Hatami were willing to moderate Iran’s behavior in the region, he would lack the institutional capacity to do so. Hatami, however, will play a key role in developing Iran’s defense power. But as his comments show, he plans to only further enhance the country’s missile program despite international concerns.